Keshi Praises Eagles Resilience, Says Go for Gold. Super Eagles coach Stephen Keshi has lauded his side’s fighting spirit in the 4-3 win over Morocco at the Cape Town Stadium on Saturday. Nigeria put up a resilient performance to stage one of the most memorable comebacks in modern African football on their way to eliminating the Atlas Lions of Morocco in a last eight tie of the ongoing African Nations Championship (CHAN), which lived up to its billing. The West African debutantes were already three goals down at the interval but equalised in an electrifying second-half to take the match into extra-time. Stephen Keshi- Proud of Resilient CHAN Eagles. And with the game headed for penalty shoot-out, Keshi’s side stunned the North African fellow debutantes to seal their place in the semi-finals. “It was tough but we used our strength and character to do damage in the second half against Morocco,” said Keshi. “I told them at half time that we were giving Morocco too much respect and we needed to be ourselves and play better, like we did against Bafana Bafana. Nigeria, who now face the winner of the quarter-finals clash between Ghana and DR Congo on Wednesday, have increased their prospective monetary benefit from the organisers of the competition from US$175,000 (over N2.8m) to US$250,000 (over N4.8m). 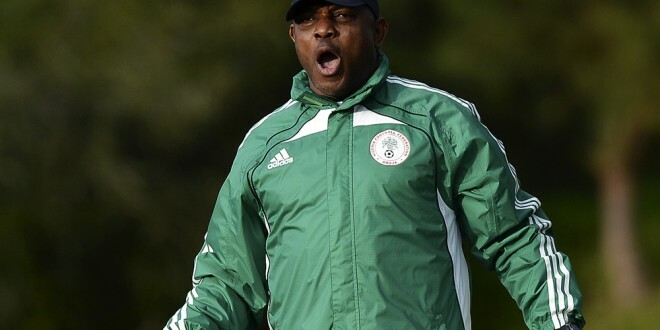 Nonetheless, Keshi urged the home-based players to build on their never-say-never character and advance into the final. “I salute the boys for fighting back, they should work hard to get to the final,” he added. The Confederation of African Football has promised the winner of the 3rd edition of CHAN $750, 000 (over N120m). QPR Announce Plans for New 40,000-Seater Stadium. Nigerian Cricketers Set for a Training Tour of Sri Lanka. Keshi Pays Ode to Del Bosque. Martino Signs a Two-Year Contract With Barcelona. Next articlePictures: Mata Joins Man United for a Club Record Fee.